Success for many, has many friends, as not a few people would love to be associated with a successful name, brand, person or in the football world, a star player, who is making waves, posting chart-bursting performances and hitting the marks, week in, week out. For Arsenal and Eagles forward, Alex Iwobi, the above statement suffixes as the 22-year old has been receiving plaudits from all and sundry after his World Cup qualifying goal in last October’s penultimate qualifier against Zambia at the Champions of Nest Stadium in Uyo, Akwa Ibom. And as the praises have been flowing in, so also the controversies, with claims and counter-claims as to who sowed the seed of development that has seen the former England youth star blossom into a gem on the playing pitch. 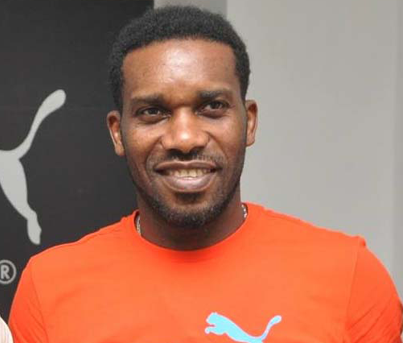 One controversial claim has is that former Eagles captain, Austin Okocha was instrumental in making Iwobi the star he has become in Nigerian football folklore, even though Okocha is yet to credit his nephew’s growing fame to himself. This comes despite Iwobi’s admission that Okocha, like Thiery Henry influenced his rise to stardom as he looked up to them as role models to follow in his professional football journey. And adding his voice to the issue, Iwobi’s father has told Sports Vanguard that it was incorrect to say Okocha made Iwobi become a star, even as he admitted that he never planned for Iwobi to become a football star. Speaking to Sports Vanguard in Lagos Iwobi’s father said, ‘’just like any other father, you support your child in whatever he or she wants to do.. There was no plan for Alex to become a footballer, not to talk of a star. He took it up on himself and as a good parent, we only had to support, because ultimately it was down to him’’, he said.